Severed with Real Pale Wasabi. I don’t think much about the ethnicity of the chef when I dine out. Trust me, my dad’s cooking is a testament that just because you’re Chinese doesn’t mean you get phenomenal Chinese food. I think things like natural talent, passion for food, dedication to the craft, and attention to detail are much more important when it comes to getting a great meal from a chef. 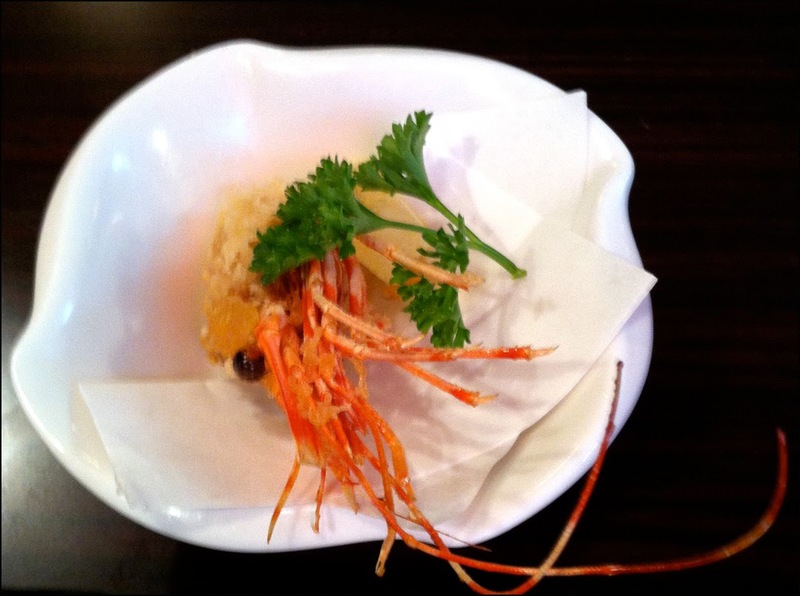 Kazu is a Japanese restaurant that opened its doors during the summer in North Burnaby. The place has been getting the love from local bloggers and Vancouver Sun critic Mia Stainsby, all making note of the Japanese ownership and staff. Is this the second coming of Kimura; a downtown quality and innovative sushi joint with suburban pricing? I had to check it out. Speedy and I always seem to alarm the wait staff at Japanese eateries with the volume of food we order; something about us being tiny Asian girls. Our dinner at Kazu was no different. The first to arrive was the assorted sashimi featuring real wasabi, albacore tuna, tako, wild sockeye salmon, surf clam, hamachi and ambei. A few moments later the deep fried head of the sweet shrimp was brought out. Nicely presented and cut, the sashimi was fresh and tasty. The true wasabi and crispy yet creamy shrimp head was a thoughtful touch. The veggie tempura (pumpkin, yam, carrot & bell pepper) arrived to our table next. 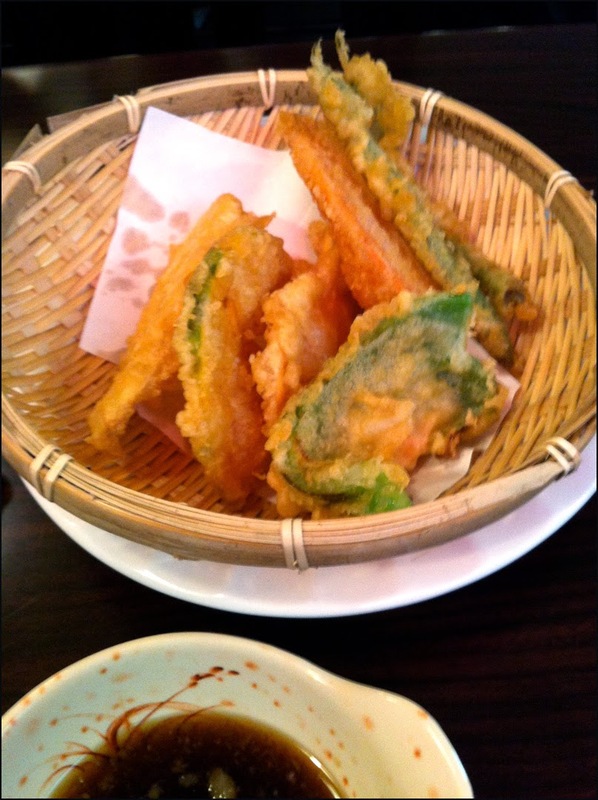 Much like the shrimp head, the tempura was well prepared; crunchy without excess grease on the outside and the veggies exhibiting the right texture on the inside. Our fairly traditional rolls (ume shiso, negihama & crunch) and uni nigiri appeared shortly. The uni nigiri was fresh, creamy, briny and just fantastic. All the rolls featured very fresh ingredients but the ume shiso was the most unique. Ume is pickled plum that’s more salty than sour and when shiso’s unique herbal profile is added, it makes for a very refreshing maki roll. The enjoyable crunch roll consisting of tuna, masago, tobiko, cucumber and tempura bits is the extent of the fusion rolls served at Kazu. Next to arrive was the assorted sushi combo which features the chef’s selection of nigiri along with a tuna maki and a cup of miso soup (not pictured). 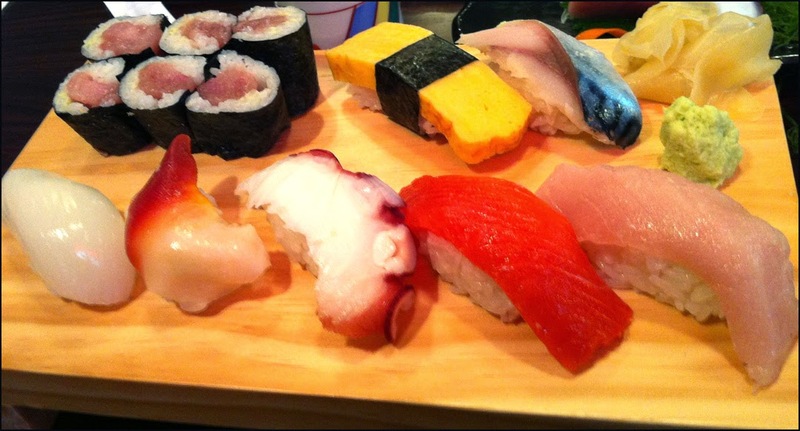 Tonight for the nigiri we got squid, surf clam, tako, salmon, tuna, tamago and saba. Similar to the sashimi, the fish was nicely prepped. I was impressed with the proper scoring on the crunchy squid. The mackerel was impressive as it was pickled but still firm, in one piece and not discoloured from over pickling. The chef follows traditions with the nigiri and each piece had a smear of wasabi underneath the fish. In most of the pieces the wasabi was a nice compliment. Unfortunately, in one piece there was little too much. I definitely was overloaded on the spiciness. However with the real deal Japanese horseradish, I didn’t get the open up your nasal passage sensation. Both Speedy and I enjoyed our meal. We actually only had two nit-picky things regarding the rice. We both thought the rice was a touch over in terms of firmness; a bit gummy. 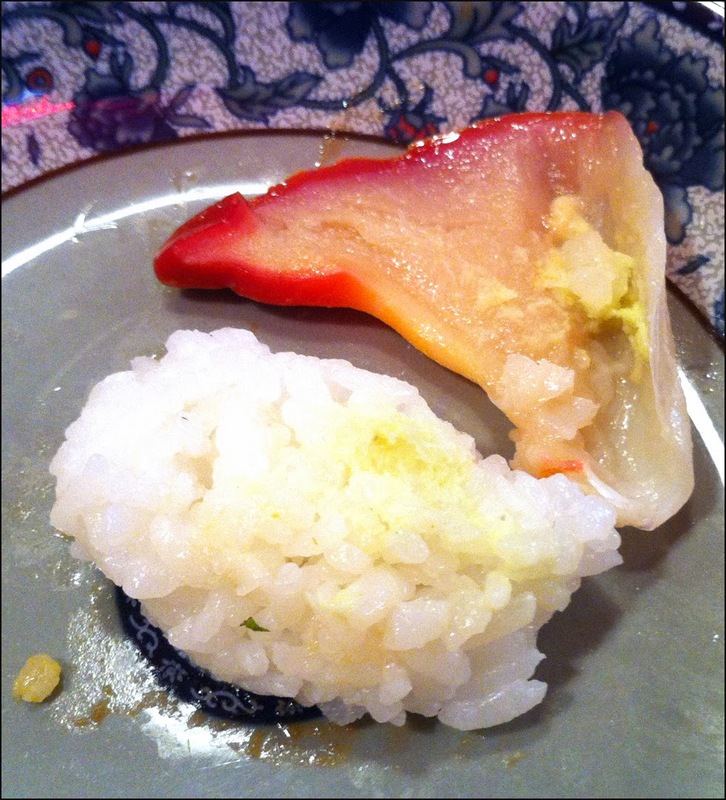 I also thought the formation of the rice in the maki and nigiri could be cleaned up as there were loose grains jutting out, thus affecting the presentation of the food. However both concerns can easily be remedy and won’t deter us from returning. With its focus on more traditional and simple sushi, Kazu reminds me of Aki downtown. If you want well prepared raw fish at an excellent price then Kazu is 100% the place you should be heading to. Overall Kazu is an above average basic sushi joint. One might argue this place is great because it’s Japanese run but I think it’s awesome because the chef pays attention to the details, is dedicated and clearly cares about serving well prepared sushi and sashimi. Next Post WTH! What are you Chambar?